Is big business diluting Fairtrade or helping it flourish? 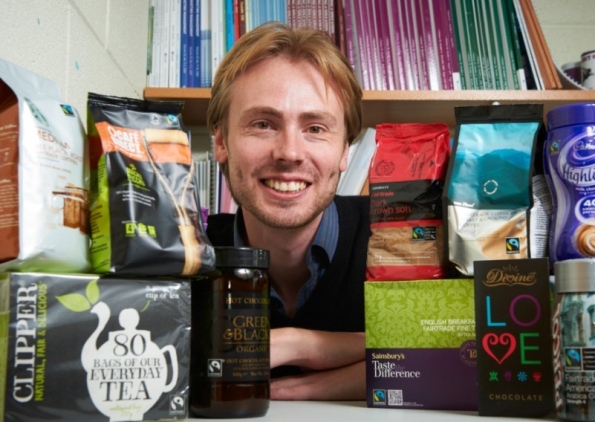 A recent paper by academic, Dr Iain Davies, claims that the public is not aware of the difference between 100% Fairtrade organisations like Divine and CaféDirect and the Fairtrade contribution made by companies like Nestlé through a small portion of their products. But some would argue that these big companies are raising awareness of the Fairtrade mark – and therefore of Fairtrade – among a bigger, more mainstream audience, which is a step in the right direction because ultimately we want everyone to be buying everything Fairtrade. Read the full article on Dr Davies’ paper in The Scotsman here, and then please revisit this website and leave your views on this contentious but important issue. This entry was posted on Monday, November 5th, 2012 at 7:18 pm and is filed under Uncategorized. You can follow any responses to this entry through the RSS 2.0 feed. You can leave a response, or trackback from your own site.